19:00 to dust / 20.30 for intermediate / experienced adults and invited youth riders. New riders or riders who are not current Poole Wheelers members , please register with Graham on coach@poolewheelers.com if you intend to come along. Times: 18:00 – 19:00 for youth and novices, 19:00 to dust / 8.30pm for adults and invited youth riders. ** Hire bikes have 3 pedal options – Look Keo, Shimano SPD or if your shoes are not compatible with either of these an attachment with old style clips and straps is fitted so you are able to use normal trainers – under NO circumstances can pedals be swapped. 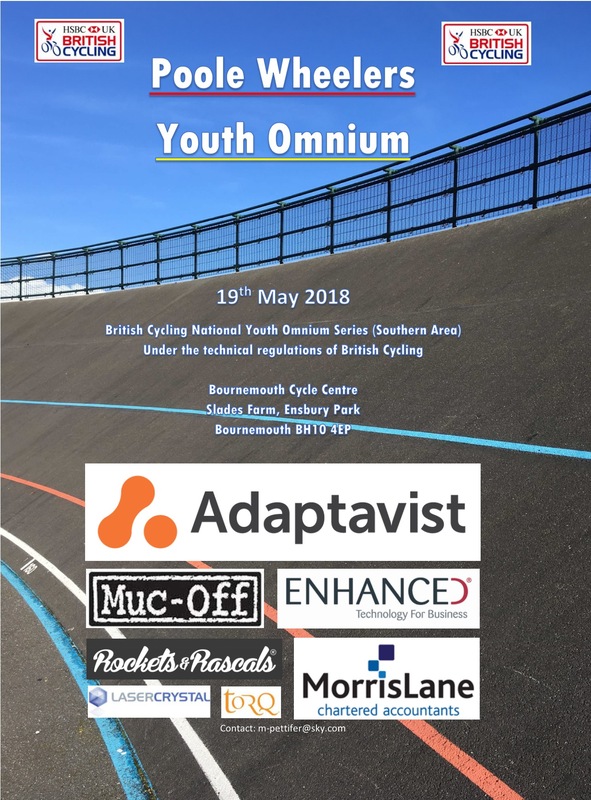 You can now register your entry for the Poole Wheelers Youth Omnium, scheduled for Saturday 19th May at Bournemouth Cycling Centre. 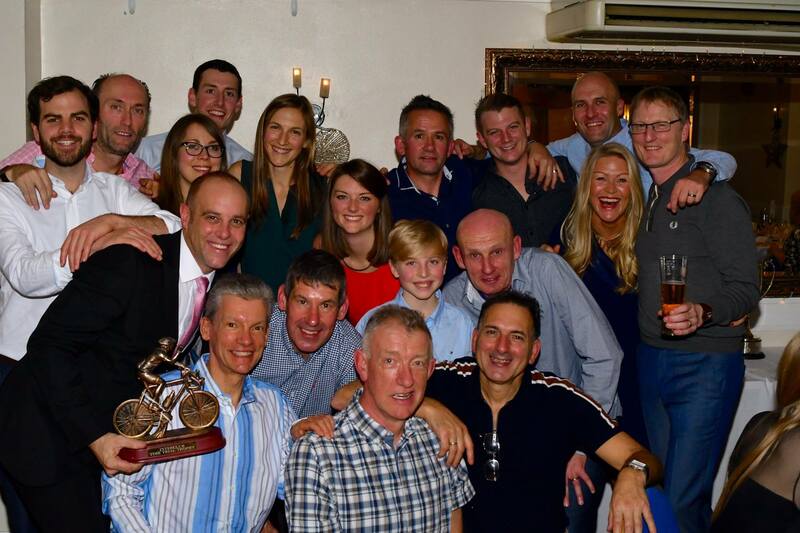 The event is part of the National Youth Track Omnium (Group 6) series. 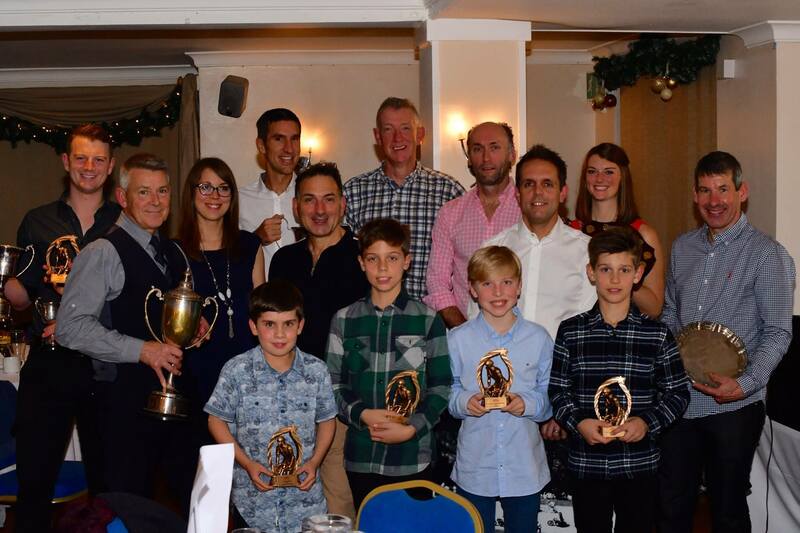 Entry fee is £15 for U8 and U10 categories (Not Part of Area Competition), and £17.50 for U12, U14, and U16 (boys and girls categories for each). You register via the British Cycling website. Entries close Friday 11th May 2018. If you have any questions, please contact event organiser Simon Pettifer. Entry fee includes £5 day charge for membership to Bournemouth Cycle Centre (BCC). New system for annual membership to BCC to go live prior to 1st April 2017. Any rider with annual membership on race day will receive a £5 refund on the day. Please bring proof of membership to the Omnium. Please note that this event will be using transponders. A £20 refundable deposit will be required on the day. Featured image from the 2017 Youth Omnium.